The process of creating a physical printed image from a photograph. Are there particular limits to camera phone print size, beyond general rules of thumb? Which file format, to print the largest pictures without losing quality? Characteristic Curve for Split Toning? PLease can anyone help me finding professional for duplication photos? I dont know what or who to search for or the proper title of the job. I am new into photography as a business, one of my customers have asked if they could get an A2 size print. My question is, will an A2 size print be clear enough from a canon 5d iii image (No Crop). Is it possible to do darkroom contact prints from a high-ppi phone or tablet? When producing prints in a darkroom, should I aim for the longest possible exposure time? Are there consumer/prosumer-level digital-to-film or digital-to-photo-paper projectors/enlargers? Which online photo printing services in the UK or Netherlands offer archival-quality printing; what technologies do they use? 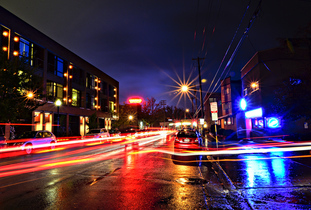 I am shooting numerous different types of long exposures of cityscapes. I want to know what is the best type of paper to print onto? I want to get the deepest blacks. How unusual would contact-printing be for a portrait studio's commercial output? How to calculate the max size of an image based on the canvas size? Before printing: manual vs printer resizing? For example, for printing a big size image to an A4 page, its better to resize it manually to exact A4 size, or let printer software set it automatically? is there any difference on sharpness, etc? Is it not ideal to save image as PNG for printing? What material for producing negative to use in cyanotype printing? How did the calotype process produce a translucent negative image? Most reliable adhesives to mount photos onto metal composite/ dibond sheets? Printing and framing with no “padding”?